ODGC Forums :: View topic - PDGA rules discussion. 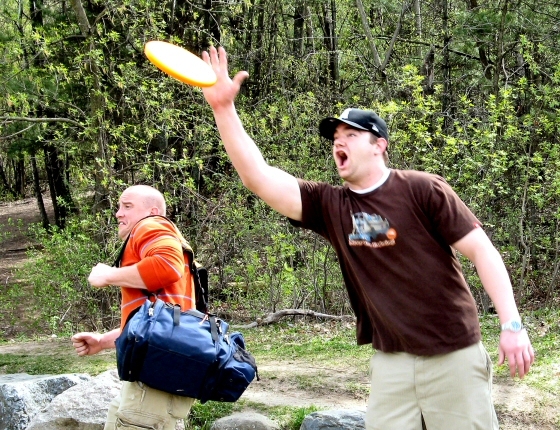 ODGC Forums Forum Index -> Disc Golf Rules & Course Safety -> PDGA rules discussion. 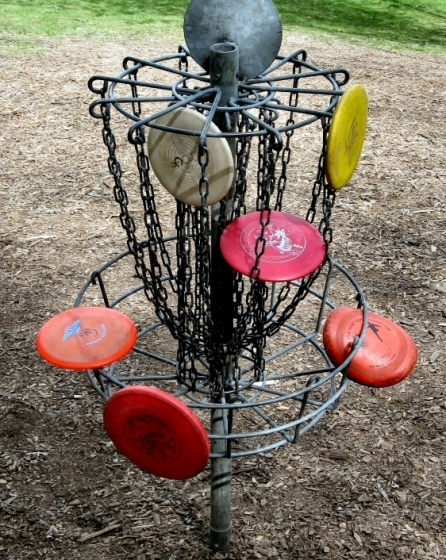 Posted: Mon May 10, 2010 9:33 am Post subject: PDGA rules discussion. PDGA is stealing your thunder Penton. Some good discussion here. Awesome. I hope every player that plays competitively reads these. I love the pictures. Which disc(s) will count as "holed out" (if the player retrieves them in time)? All except the yellow one. I agree it is silly. being on top of the basket and avoids any conflicts of being somewhere between on top and hanging off. Another reason to love the Innova yellow band. Love it or hate it it works. Wait a second here. The yellow disc is not in the basket, but it is touching the chains. Does this not mean that one could argue that the chains are playing a role in suspending the disc in or over the target. Therefore in! Only reason it is touching the chains is because of another disc inside the chains pushing them outwards. In proper etiquette disc golf that disc would not be there. You know, I used to loathe the yellow band. It's big, obnoxious, and makes a terrible sound when you thunk it. Then I hit one hard while at the shire. Completely predictably, it bounced sort of like a slap shot off a goal post; not in, but right back into play where you would expect it to go. There was no crazy air bounce off the top of the basket or fancy random twirly action resulting in a completely unexpected roller. It was just a clean deflection that ended in an expected landing. Then I realized, "hey, that band did what it should. Maybe it isn't so bad after all." Is this the only one they're going to do?